... RESTAURANTER & SHOPPING WITHIN WALKING DISTANCE. gratis pendulkørsel til Magic Kingdoms billet og transportområde samt Sea World og Orlando Icon drop-off. Vi har også gratis pendulkørsel til LBV Outlet Mall og Premium Outlets leveret af begge disse leverandører. But the air conditioning was horrible. Great place, great location, will definitely be staying here again in the future! Really enjoyed our stay. Very convenient to the theme parks we were visiting, and so much more room than if we had stayed on the Disney property. Only disappointment was that we were not able to take advantage of the shuttle service to the parks because the schedule did not fit ours, but that was minor. Wonderful place to stay with family. We had a wonderful time. Resort was very clean. Our rooms were great. Would stay there again. Loved the view of the lake. I could not have asked for better accommodations for my family of 6. This is the first time we've rented a condo so we were not sure what to expect. Long story short...our jaws dropped when we walked in the door. We had a fantastic week and I hope we can make it back someday. If/when we do, we will stay here again. Economical and Convenient Location to most everything. We are a family of 7 and had a very good stay at Blue Herron Beach Resort from December 31st to January 7th. 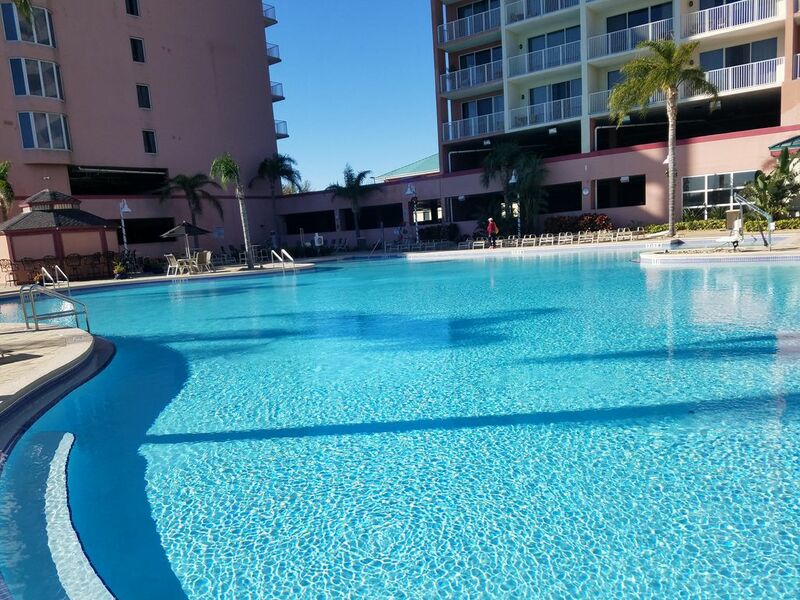 The check in process was easy, the accommodations were as expected and we found that the condo was clean and adequate for our vacation to Walt Disney World and Universal Studios. Although a bit dated in style the condo itself was a good fit for us due to its accessibility to the major attractions in Orlando. I would recommend to others as an option to price out when considering where to stay in Orlando. Thank you. Please send your friends & families. Also the condo will be upgraded over the next year to 2 years. We are trying to see what works best. I love the country look but they may not be everyone's taste.